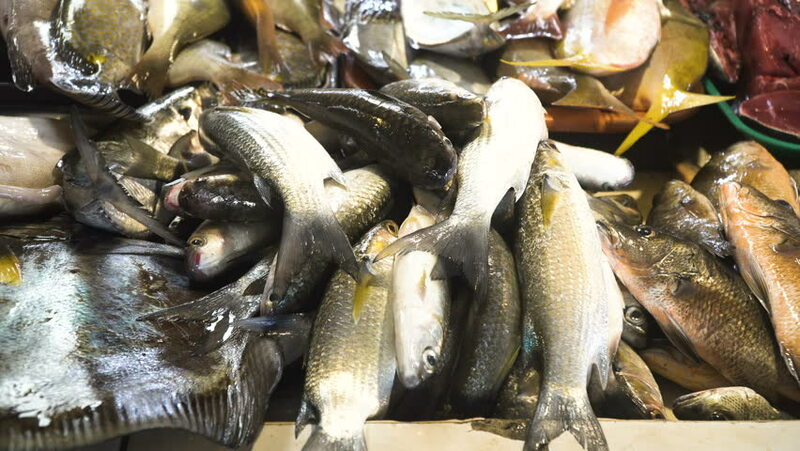 Fresh fish in Asian market. Sale of fresh sea fish in the Asian public store. Sea fish lying on the shopboard at one of the street markets. 4K video, Philippines. hd00:18Autumn colors flowing fresh water of creek over small waterfall. Slow shutting effect to show water motion. hd00:14Capelin fish and chips on a dark background stewed on a frying pan top view, slow motion. 4k00:29Mosquito, Larvae and Pupae in polluted water. Culex pipiens (the common house mosquito or northern house mosquito) is a species of blood-feeding mosquito of the family Culicidae. hd00:30A snake appears between dry leafs. 4k00:12Garbage in the sea: sea fish floats on the background of a heap of shells from a large-caliber machine gun on the seabed. hd00:14large reticulated python(python reticulatus) resting, hd shot.